Long before putting out two instrumental releases through the Street Corner Music label, performing a live set at the Boiler Room, producing the entirety of the popular Emergency Raps series, and lacing an official Freddie Gibbs-assisted remix for Fly Anakin and Koncept Jackson, Atlanta-based producer and Mutant Academy member Tuamie’s introduction to music production began in earnest. It all started in 2007 as a 13-year-old Tuamie sat at his computer in Fredericksburg, Virginia watching YouTube videos. Without any stated agenda or area of focus, he stumbled upon a video of Jamla records owner and Grammy Award-winning producer 9th Wonder making beats in FL Studio. Seeing someone make professional level beats on a computer with efficiency and ease suddenly demystified the production process, made it seem attainable, and inspired Tuamie to find his own means of making music. Before long he tracked down his own copy of FL Studio and dedicated his high school years to mastering his craft. Reimagining the work of his creative heroes may have been a time-consuming ordeal, but it proved to be a critical process for Tuamie to find his own signature sound. He internalized lessons about arrangement, sample chopping, and drum patterns, which he then applied to each subsequent remake. As Tuamie discovered his own unique style as a producer, he also embarked on a rigid program of self-guided study. Eager to research and learn about his new passion after classes were done for the day, he devoured every producer interview he could find online, watched a healthy dose of music documentaries and beatmaking videos, and read several books about the music business. Tuamie’s focus and commitment to gaining expertise may seem like an overwhelming standard to some, but he wants producers to have realistic expectations about what it takes to survive in a crowded and hypercompetitive industry. “It’s a lot of practice. Making beats at work, making beats in the car, making beats – just really dedicating your life to learning to do what you want to do,” he says. Beyond constant learning and practice, a fair amount of resourcefulness has helped Tuamie achieve his desired sound over the years. When he wanted his 2011 Water Loops debut to evoke the iconic sounds of an E-mu SP-1200, he purchased an inexpensive Casio SK-1 keyboard sampler. After figuring out how to use the keyboard in tandem with his computer during his senior year of high school, he ran every song on the album through the sampler to give each track a distinct timbre. The gritty texture he achieved helped give songs like “High Eyes” an inimitable sound unlike anything else in the beat scene at the time. Then, amidst personal turmoil and a temporary relocation from North Carolina to Virginia in late 2016, Tuamie made one of the most emotional records of his career by utilizing a rather unconventional recording setup. Facing an uncertain living situation and looking for a quiet place to focus his creative energy, he found refuge in a local grocery store while working on his second album Street Corner Music. “It was a two story grocery store, it had a cafe upstairs, and it was 24/7,” he says. “That’s where I finished Holy Ghost Spirituals and turned it in.” The store became an effective impromptu studio as Tuamie went there night after night with his laptop to work in Ableton Live. Looking to create in near-isolation, he often arrived during off-peak hours late at night and lost himself in the process. Though Holy Ghost Spirituals first started out as an eight song Bandcamp release of Gospel-sampled beats, Tuamie was encouraged by Street Corner founder House Shoes to flesh the EP out into a full length effort by making more instrumentals out of religious music. Despite the uncertainty in his life and the career setbacks he was navigating at the time, Tuamie’s dedication to the creative process paid off. The original brief EP more than doubled in size by the end of 2016 as he completed 20 beats for the final version, which has since become one of the most revered albums from his expansive catalog. Though the video is aimed at DJs, Tuamie recommends that producers also take time to learn about harmonic mixing because much of the information is transferable to the beatmaking process. 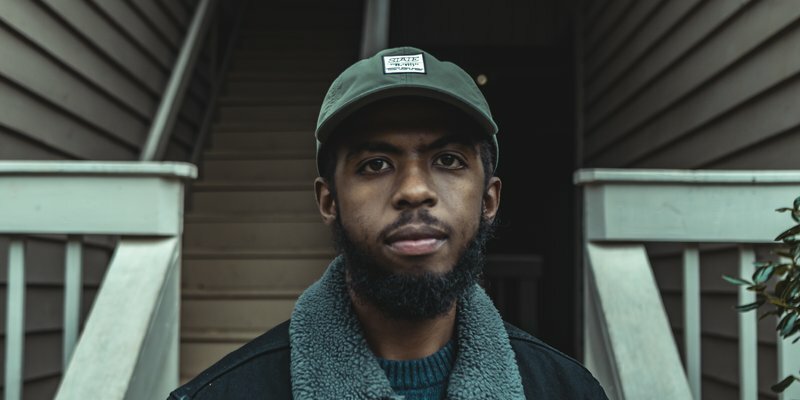 It can also help beatmakers understand how to blend their own original sounds and music with samples, a process Tuamie is currently exploring. Now, as Tuamie closes in on 12 years of consistent practice, study, and work, he finds himself at a new pinnacle as an artist. “I just, this year, got it to where I can say, ‘I can create my ideas that I have in my head,” he says. Tuamie has generously provided two free samples from his Sample Pack 01 collection. Instead of just giving access to the samples, he left them open at the beginning and end of a beat he made so that others can put their own spin on them.